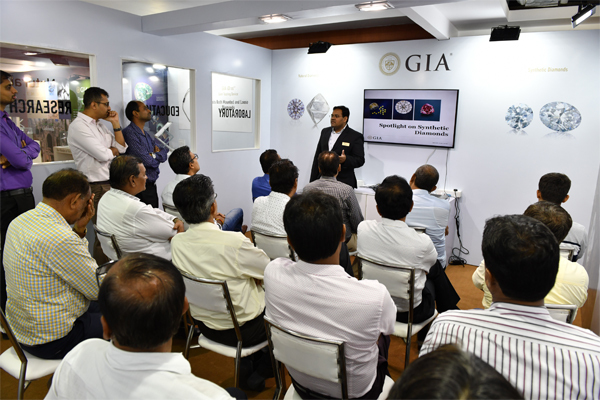 GIA India offered complimentary seminars on synthetic diamonds from 23-25 April at the Diamond Detection Expo & Symposium 2018 in Bharat Diamond Bourse (BDB), Mumbai. 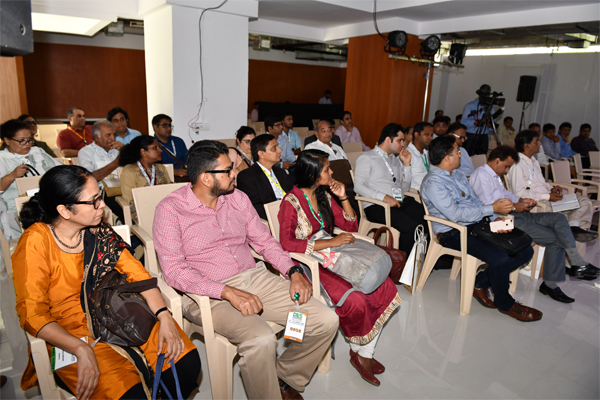 GIA India experts conducted multiple seminars on 'Spotlight on Synthetics' and 'Identifying Synthetic Diamonds' – nearly 200 guests attended. Participants gained insights about the methods for producing synthetic diamonds, the identifying characteristics of natural and synthetic diamonds, and the latest synthetic diamond research from GIA (Gemological Institute of America, Inc). "We've been hearing about synthetic diamonds for quite some time. 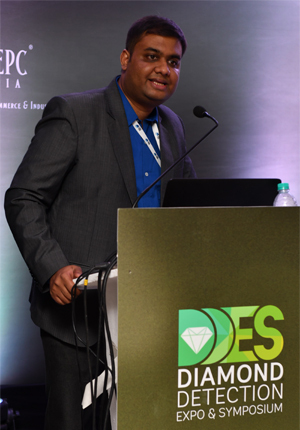 These seminars helped us understand how technological advancements can give assurance to consumers that the diamond they are buying is natural and not synthetic or treated," said Dipen Patel of V. P. Patel & Sons from Mumbai, one of the seminar participants. GIA India's booth showcased the GIA Melee Analysis Service - a fully automated system that separates natural, untreated diamonds from simulants, synthetic and HPHT treated natural diamonds, and sorts the screened melee size diamonds by color range. Visitors also got a glimpse of the GIA iD100™ gem testing device that distinguishes natural diamonds from synthetic diamonds and simulants - loose and mounted. "Creating awareness about the possibility of undisclosed synthetic and treated diamonds and simulants in the supply chain is an important step in ensuring public trust. GIA India organises these complimentary seminars to educate the trade and ensure public trust in gems and jewellery," said Nirupa Bhatt, Managing Director of GIA India and Middle East.